If you're looking for a Blue Mountains wedding venue for your special day, then look no further. At Lonely Hunter Weddings we love photographing weddings that are held in the Blue Mountains. So we thought that it would be quite fitting to prepare a list in no particular order which included some of the most outstanding venues on offer. Whether you're after a venue with pristine gardens or scenic views, these venues have the capacity to host your entire day, from the wedding ceremony to reception. 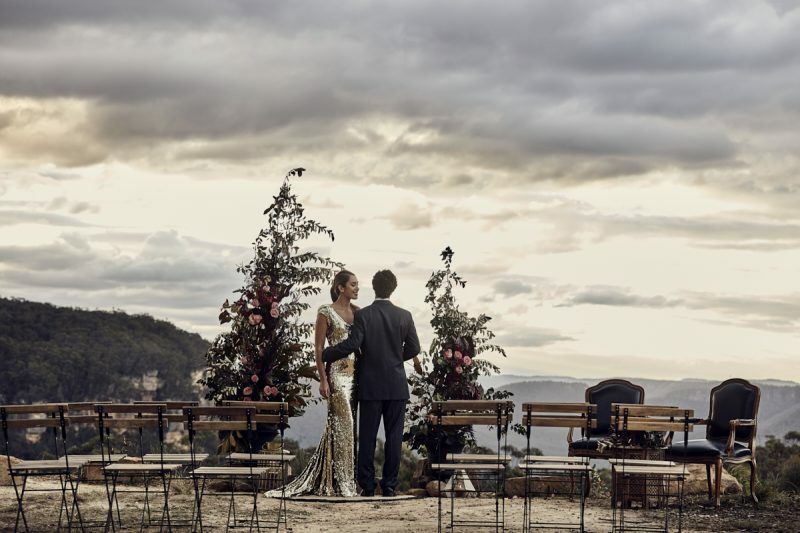 Alternatively, if you haven't necessarily settled on holding your wedding in the Blue Mountains, then you may also be interested in checking out some of our favourite Southern Highlands wedding venues. 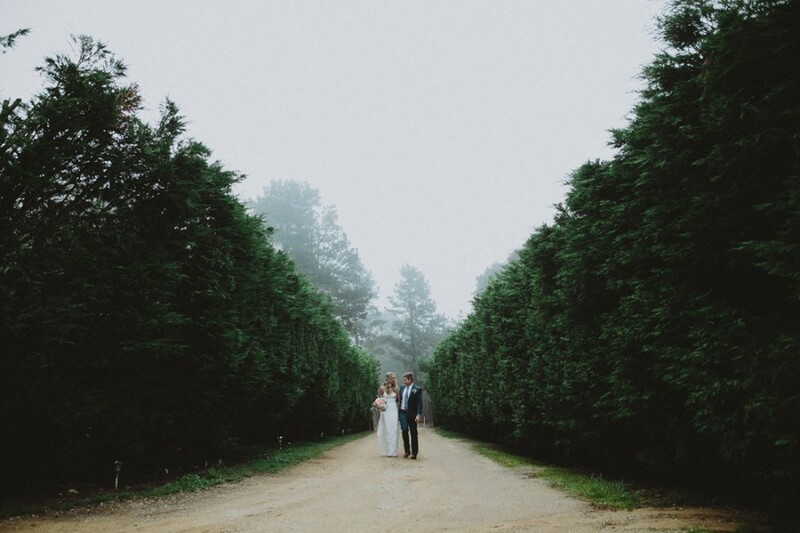 The ultimate Blue Mountains wedding venue list! First up and coming out of the gates with a BANG is the always stunning Allview Escape. 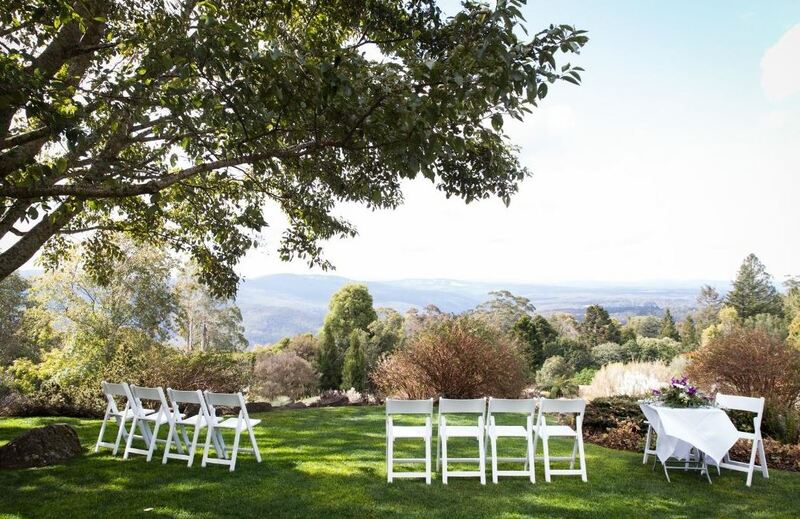 With immaculately maintained gardens and breathtaking views of the Grose Valley, it's no wonder why weddings are their speciality. Perched atop the cliffs and away from all the hustle and bustle is this private and secluded venue. Your bridal party can book the entire estate, including its fully self-contained luxury cottages which accommodate up to 25 guests. This Blue Mountains wedding venue will be sure to leave a lasting impression on your guests. Built-in 1919 is the Dazzling Logan Brae Orchards. With rustic charm, this quaint family run orchard has a story all of its own to tell. This one of a kind venue is unlike anything else you will find as its the last remaining apple orchard on Shipley's Plateau. 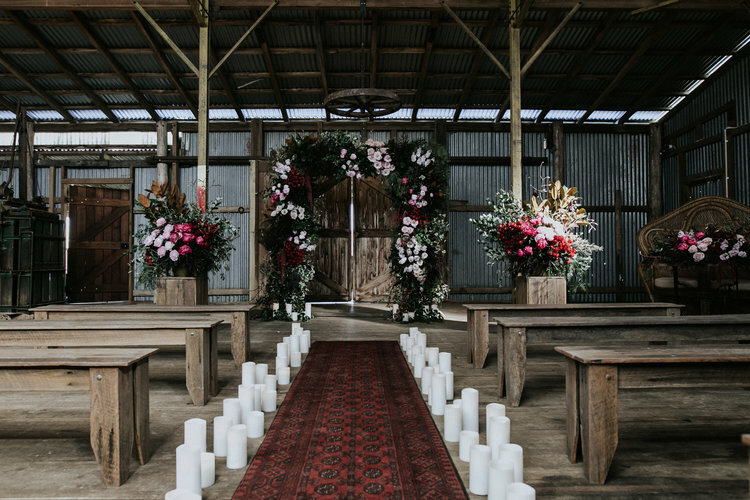 Featuring a country barn and marquee which overlook the mountain ranges, this Blue Mountains wedding venue is truly special. If you like what you see then you better get in quick as they only take ten bookings per year. Dennarque Estate estate is steeped in history and situated in the village of Mount Wilson. This exclusive venue features exotic cool climate gardens which have recently been made available to in-house guests. It has the option of accommodating your reception under a starry night sky or within a beautiful marquee situated in the gardens. Guest accommodation can easily be found in the village while the bridal party/family can stay on location with three fully self-contained luxury cottages included in your booking. The heritage-listed estate also contains a tennis court, croquet lawn and a large conservatory with an indoor fireplace. The garden has been designed with a variety of vistas which will look great in any season and provide the perfect backdrop for your wedding day..
Lithgow State Mine Heritage Park will present you with an alternative option to the type of Blue Mountains wedding venue you would normally expect to find in the area. Surrounded by forest, it sits within a spectacular mountain valley. This industrial wedding venue has expansive lawns and is home to a unique building called 'The Bath House'. The Bath House is priced affordably and has ample room for dining and dancing. The midnight curfew will also mean that you and your guests can celebrate well into the night. With transport options available and accommodation in town, this venue has everything going for it. 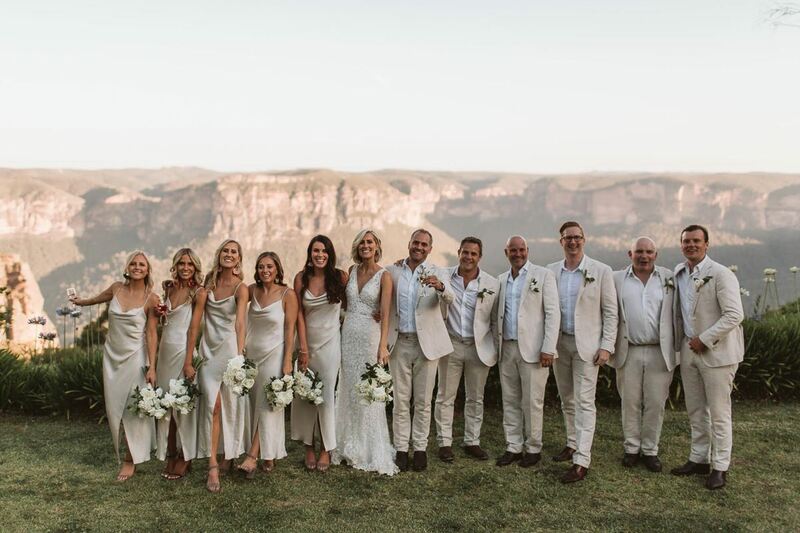 Seclusions is an all-inclusive Blue Mountains ceremony and reception wedding venue for couples that prefer to be completely involved in the decision-making process. The rustic elegance of this charming venue will capture your imagination and provide the perfect setting for your wedding day. With uninterrupted from the newly built pavilion estate sits on a peaceful parcel of land surrounded by mountains. It also features a gorgeous amphitheatre for your ceremony and a rustic barn for your reception. This venue prides itself on its hospitality, attention to detail and the ability to make your wedding day one to remember. Dryridge estate is the setting of a boutique vineyard nestled within the Megalong Valley. 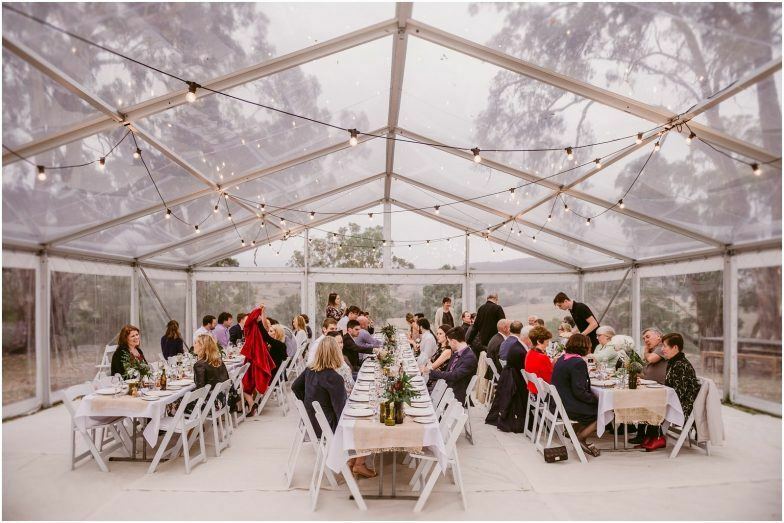 Boasting magnificent views of the surrounding escarpment from the clear roof marquee, this Blue Mountains wedding venue is home to some of the areas best scenery. Whether you decide to exchange vows within the beautifully manicured gardens or vineyards, Dryridge estate will make it possible. With a range of accommodation options on offer, they can cater to weddings of all shapes and sizes. The Waldara property is not only a Blue Mountains wedding venue but a working farm of 800 hectares. With wet and dry weather options to boot, Waldara already has your contingency plan in place. With lush gardens for your ceremony and a jetty wharf for those perfect sunset photos, it's hard not to imagine yourselves tieing the knot here. The property features a barn with a high pitched roof and rafters to hang your decorations from. It also has two fully self-contained homes which can both accommodate ten people. If you plan on making the most of what Waldara has to offer, then book a few nights and make a weekend out of it. Ready for your boutique garden wedding is Mount Wilson's Wildenstein Estate. 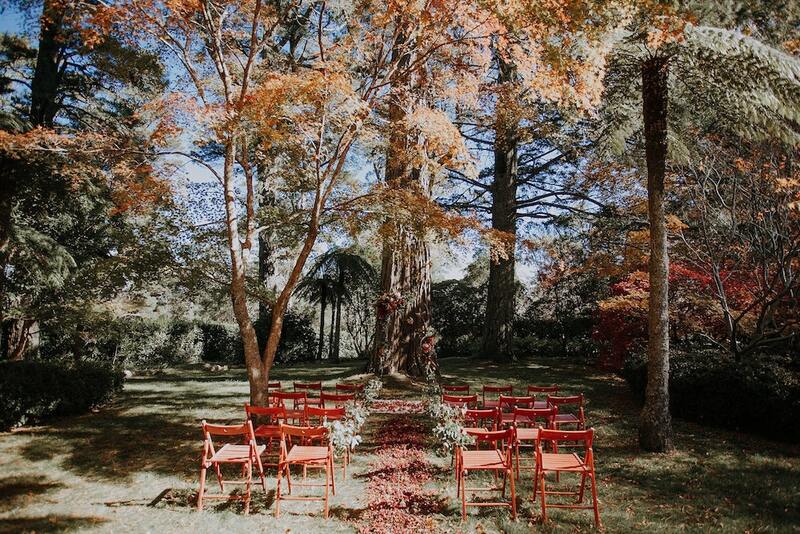 This Blue Mountains wedding venue sits on twelve and a half acres of immaculately maintained gardens. Whether you decide to hold your reception on the balcony or down in the gardens, this property is available for your exclusive booking. Wildenstein will provide the perfect backdrop for your dreamy wedding photos. They will also assist you with any planning needs to help make your bespoke wedding one to remember. 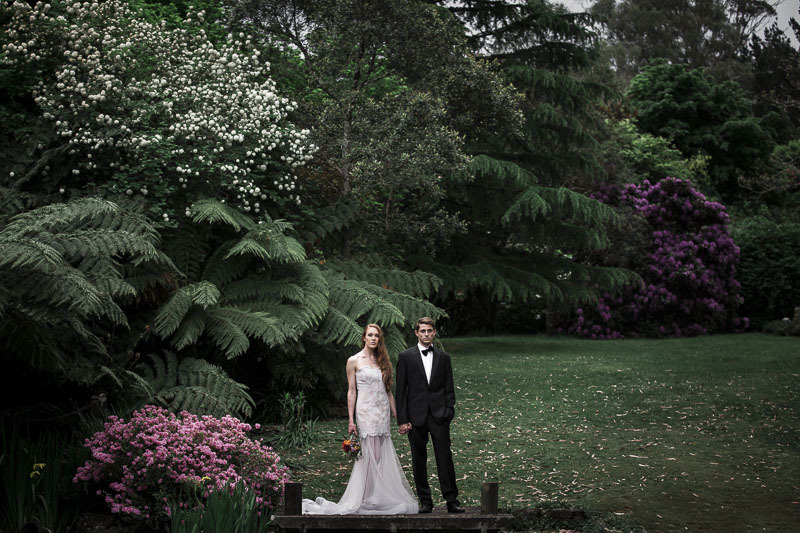 Last on our listen but certainly not least is the Blue Mountains Botanic Garden wedding venue. With sweeping vistas of the heritage listed mountain range, stunning plant displays and perfectly maintained lawns the botanic gardens is a show stopper. Without having to move from one venue to another, this establishment provides everything you could need in the one location. Don't just take our word for it though, take a look for yourself. 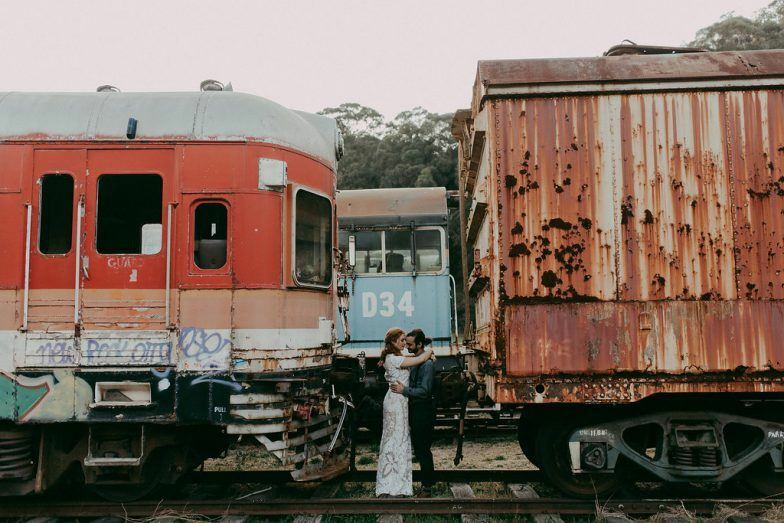 We hope the creation of this Blue Mountains wedding venue list has helped you out. At Lonely Hunter Weddings we wouldn't recommend a venue that we didn't believe could live up to the highest of expectations. If you decide to inquire with one of the venues listed above, please let them know that Lonely Hunter Weddings referred you. If you're also looking for a professional wedding photographer, Lonely Hunter Weddings is available for booking. We would love the opportunity to discuss your wedding day with you! If you have any general wedding or photography related questions or would like to know about our pricing and packages please get in touch with us via our contact page.